Grant Sinclair - the nephew of pioneering PC and electronic goods inventor Sir Clive Sinclair - has launched a crowdfunding campaign for a micro-computer that combines Raspberry Pi chipset, HD action camera, high-resolution music player, gaming console and web browser into a miniature casing. 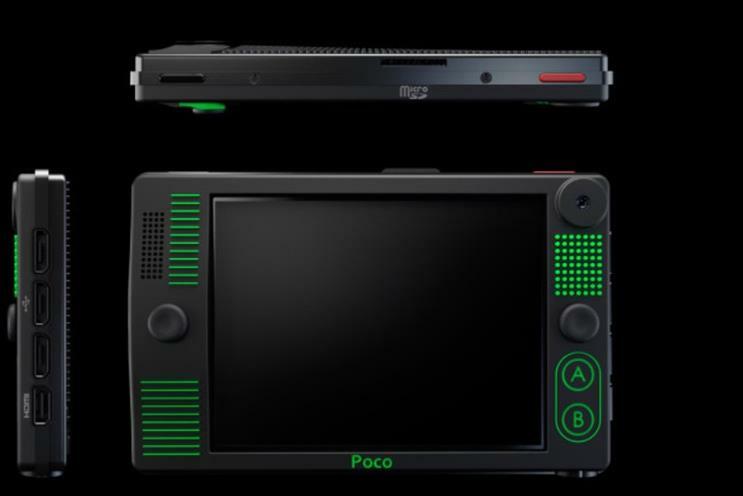 Sinclair, who is the founder, CEO and chief designer of Sinclair Mobile, is hoping to raise £300,000 via crowdfunding site Indiegogo within the next 30 days, a sum that will help the company develop its Poco product. While the Poco (a word which literally means ‘a little’), will be immediately usable as a multifunction device, its open source Raspberry Pi chipset means it is easy to modify and code. The device comes ready to use with a number of functions. Users can download and play Raspberry Pi games such as Minecraft, play high-res audio files that are up to 18 times higher quality than MP3s, and use its integrated Wi-Fi to surf the internet. The Poco can film 1080p video and take 5MP photos via front and rear cameras, features a 2.8-inch touchscreen and a 1/4-inch action mount. It will come with an instruction manual that explains how people can programme the computer and use it as a video phone, fitness tracker and baby monitor, among other applications. Sinclair said that the funding would be used to complete the electronics development, tool the metal body casing and to extend its intellectual property protection into other global territories (it currently has a UK patent pending and European design registration). Grant Sinclair’s uncle, Sir Clive, essentially shaped the UK’s home computer market in the 1980s, with the ZX80, ZX81 and ZX Spectrum computers.